If you’re British then it’s a practically a given that four particular elements will come into your life repeatedly as you grow up. Now, by no means does any Brit have to take to any of these four aspects of life. I merely mean to stress that each of them will crop up so regularly during your formative years in the United Kingdom that there are darn good odds that you may well drift towards one of these fascinations. Personally I can take or leave most James Bond adventures. There is a goofy to them for sure, and I always have a soft spot in my heart for any murder followed by a quip. But I’ve never cared all that much for Queen and Country. Sorry, James. Football has never appealed to me. It’s angry men chasing a ball, then getting the ball, then being happy or angry a bit more. In fact that applies to many sports in my mind. As for tea, well I’ll have you know that tea is for mugs! I’m a coffee man. So that just leaves Doctor Who. In truth I couldn’t claim to be a huge fan, but actually I do have a lot of time for the good Doctor. For anyone reading this blog but not in the know or suffering from Memento-like memory loss, Doctor Who is a Television show from England’s swinging 60’s. It tells tales of The Doctor, a time-traveling alien. The Doctor tends to take on companions, usually of the human variety, and then whisks them away on adventures anywhere/any-when. Together, The Doctor and his companions frequently stop alien invasions, demonic conquerors, battle nastier time travelers and so on. 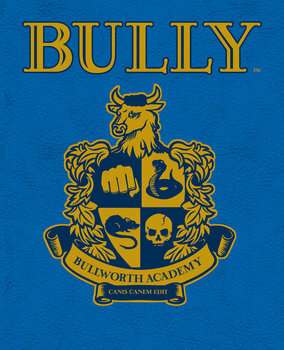 All of this is for reasons never completely established to my knowledge other than the Doc just doesn’t seem to like bullies. Well that’s two of us, so that makes him a-ok in my book. Most series of Doctor Who combine low budgets with high-concepts. This allows a variety of writers to question society, technology or ethics through the fantastic in the very best sense of ‘Science Fiction’. Additionally the show is about a man (well, alien) that tends to outwits evil forces rather than get physical. In the Who-niverse the brain is mightier than the sword, which can be pretty appealing to a lazy-nerd such as myself. In addition to these traits, The Doctor’s ability to travel through time and space makes the settings of his hijinks limitless. On top of all that, he’s always snappy dresser, too. Well, unless you count Christopher Eccleston’s dour, but admittedly slick, style. So in short, the series of Doctor Who at its best often has unique ideas, it has a focus on brains over brawn and can be highly imaginative. Of course at its worst it looks terrible, seems camp and has hackneyed plots that are as dull as chewing someone else’s flavour-less gum. The really interesting part though, is that The Doctor can chose not to die. At least for 12 lifetimes worth of ‘deaths’. Instead of dying, The Doctor can re-generate when near death to give himself a new lease of life. This allows him to completely change both his physical appearance and his entire characteristics, which is pretty damn handy if you want to keep re-casting a show over that has run for 50 years. 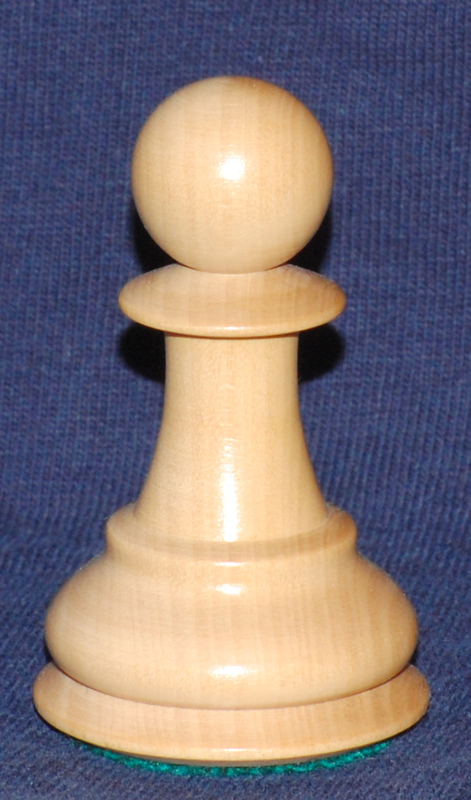 This conceit allows for continuously fresh takes on a seemingly singular role. (In fact if 007 could do this more overtly I may be more interested in the bloke. 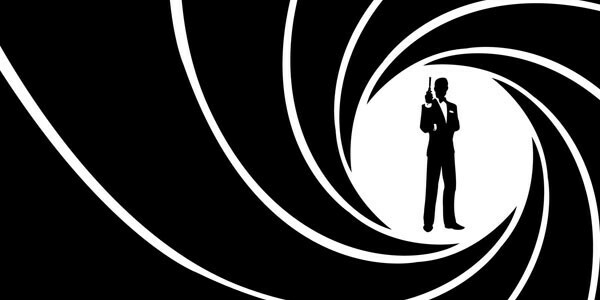 Honestly 007, you could at least wear a Zoot Suit and drink an Appletini on film some time). The re-generation involves an overhaul of the entire role of The Doctor to suit each new actor, making a case of preferences to any one actor in the role almost more a case of of ‘which actor represents a viewers preferred take on the whole show’. For instance, does a viewer prefer Tom Baker’s universe exploring, other worldliness feel to their sci-fi? Or does a viewer prefer John Pertwee’s more Earth-bound, action packed adventures? How about Willaim Hartnell’s grumpy Doctor trying to get away from the madness and stupidity of humanity? Or Christopher Ecclestone’s war-traumatised, manic- Manc? Should adventure be sought? Or is it a side-effect or exploration? Should The Doctor hurt his enemies or forgive them? Does he look better in Cricket Whites or Joseph’s Technicolour Dream Coat? And so on. In my case, I grew up Sylvester McCoy’s turn as the 7th Doctor. I remember him being a Doctor who mixed simple acts of illusion to outwit evil forces. I remember him as a Doctor that every episode was a essentially a dishevelled vaudeville act that was completely outmatched by his enemies before he would unveil a a brilliant trick that would save the day. In fact, I pretty much remember him as a Cosmic Columbo, solving cases whilst seeming pitiful to all those who fools who underestimate him . This looks remarkable like my old school chum, John Puplett. Maybe he was Time-Lord! I decided to buy some random DVD’s of McCoy’s era as The 7th Doctor to check this out again. First up was this interesting concept that was sadly let down by having a budget reminiscent of a trip to the local Pound Shop with a fiver. The Happiness Patrol involves the Doctor and his assistant Ace, who is easily described as an anti-autoritarian teen with a perchance for Explosives. I am glad I got DVD’s only featuring Ace as I seem remember his previous companion just screamed a lot, where as Ace wore a leather jacket and blew things up. Landing on a distant Moon in the far future, that is colonized by Humans, The Doctor and Ace find themselves in a society where everyone is happy. All the time. Whether they want to be or not. A crazed bureaucrat called Helen A wants everyone to be happy. In fact she wants this social joy so much that anyone caught being anything less than happy is tagged as a ‘Glum’ or a ‘Killjoy’ and is summarily executed. Helen A has formed this deadly land via forming the Happiness Patrol, a female militia in vibrant colours that carry guns and kill citizens at the sight of a frown. Helen A also employs spies to convince people to visit sad-speakeasy’s. Should the person agree they are reported for execution. Finally, just for sheer perversity, Helen A uses a giant robot made of Confectionery called Kandy Man as her private executioner. Kandy Man’s favoured method of murder is simple drown a victim in Fondant and then serve the Fondant up to Helen A. The Happiness Patrol presents some interesting notions whereby those in power really do want the public to be happy, and love colour and energy. Whereas the revolutionaries want a drabness and the right to be melon collie. With nods to Kafka through the naming of characters (Helen A, Gilbert M etc with the surname acting as a social ranking system) as well as shades of Film Noir in its dutch angles and blues music, these episodes certainly are not short of ideas. Just to add political satire into the mix, Helen A very much resembles Margaret Thatcher, although arguably nowhere near as bloodthirsty as the real woman. But how does Sylvester McCoy come across in The Happiness Patrol? For the most part he was the clownish entertainer I remember, although far more grating with his singing and Spoon-playing. Yet there is a key scene where he talks down a soldier about to shoot him. He does this through describing the guilt of murder until the soldier no longer can function. Similarly, towards the end of the final episode of this story, The Doctor presents Helen A with the sight of her dead pet, Fifi. He then prompts her into feeling sad, the one thing she has been avoiding. There is no direct need for this. Kandy Man has been defeated. The people are in revolt. Helen A has no power. Yet The Doctor still finds the time to make her feel what she has suppressed from this world. This moment of indignant justice that borders on cruelty is something that will become all the more apparent over the next few DVD’s. So far all that The Happiness Patrol has shown me is that Bertie Bassett is not to be trifled with and McCoy is a little too at ease as a clown, despite having a nasty streak in place, too. Hmm…. Next up, The Doctor and Ace land on an alien planet. There seems to be nothing on the planet except for the Psychic Circus, the self-proclaimed ‘Greatest Show In The Galaxy’. As they head towards it, they encounter several other people heading to the same venue, including former-adventurer Captain Cook (no, not that one), his assistant Mags, a biker with an attitude problem and a nerd obsessed with the Psychic Circus. The circus itself is run by Carnies who are always seeking ‘new talent’ for the crowd. The crowd in question are only three people, a Heid-Hi Hi 1950’s style traditional family of Mother, Father and Child. The ‘talent’ in question is actually anyone coming to see the show who are quickly put onto stage and told to entertain the ‘crowd’. The moment they fail to entertain them, it’s time to die. Naturally the family are actually inter-dimensional gods who feed off entertainment. The Doctor deduces this and ends up facing off against them with his countless japes, such as illusion, escapology, juggling and so on. There is more going on The Greatest Show In The Galaxy featuring killer clowns driving around in a hearse, Eric from Lovejoy as a lobotomised inventor and a space-Werewolf. These elements alone should excite me, but this was a surprising chore to sit through. Everyone except for the lead Killer Clown is really dull and the Doctor is non-stop zany throughout. Zany is not a word to be used lightly as nothing good can ever come of it. …And better the episodes do indeed get. Just about. The Doctor and Ace are back on Earth, in the ‘near future’ which looks remarkably like 1980’s Britain. They are just in time to get caught up in a battle between an invading Morgaine (as in ‘Morgan Le Fey’) and her son Mordred from Arthurian-myth. They battle The Doctor and Arthur himself in this ‘modern’ age. The Doctor is recognized as Merlin by all involved, though for his spirit rather than his unfamiliar face, giving the implication that a future incarnation of The Doctor will one day end up in Earth’s past and become the Merlin of legend. Excalibur, the infamous Comic In The Stone. The episode as a whole is fairly middling. It ties nicely into the history of the show by featuring a re-occurring character from the past, Brigadier Alistair Lethbridge-Stewart and also turbo-speed car that I believe was formerly used by John Pertwee’s version of The 3rd Doctor. 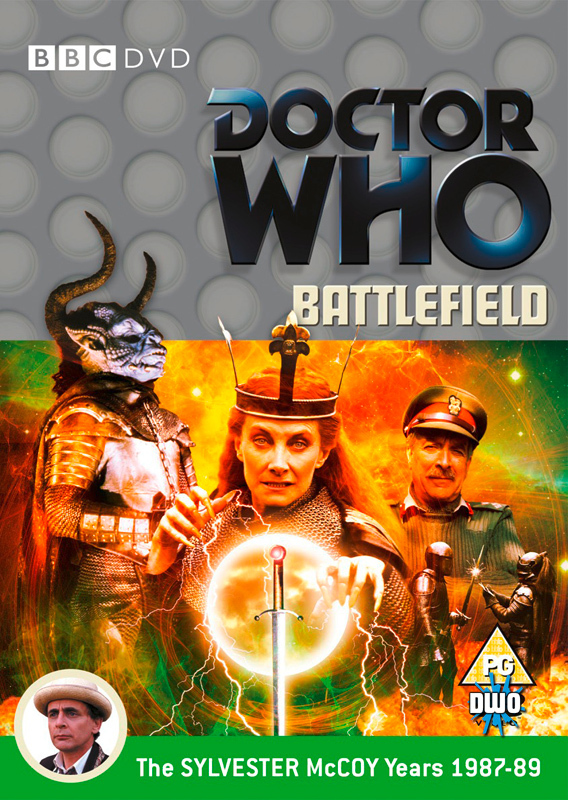 The real saviours of the show here are the make-up of a Devil-character called The Destroyer Of Worlds and the acting talents of Jean Marsh as Morgaine. Marsh gives Morgaine a sense of pride and righteousness which makes her a interesting counter to McCoy’s equally prideful and righteous Doctor. Ego aside, McCoy also begins to begins to emerge as a more secretive Doctor. He pretends to be the fully-realised Merlin and bluffs his way throughout the episode to both Morgaine and Arthur. This ‘Devil’ is actually very cool, even tough he gets bested by a piece of chalk. He also manages to stop a battle by sheer presence when he walks out and demands everyone stop. Ghandi would be impressed. His main moment of characterization though is towards the end of the entire adventure, when The Doctor talks Morgaine out of launching a Nuclear War. He does this through merely stressing the honour-less death it would cause to civilians. He uses the one positive within his enemies mind and turns it against them to freeze them into a mental deadlock. Compared to the previous episodes re-visited, Battlefield begins to present McCoy as are more private and conniving master of psychology. Battlefield is still not a great episode, it does contain a clue that McCoy may be a little more slimy than is to be expected in most heroes. I’m over the mid-way hump by now and not been overly impressed. Fourth up and I am glad glad to say there is finally a strong 7th Era-Doctor Who story that I really enjoyed. Ghost Light whizzes by so fast and is barely explained at all. The onus is on the viewer to connect the dots and keep up, something I enjoy in entertainment. This lack of clarity gives both an unsettling and frustrating feeling to this story, which is perfect really since Ghost Light is a haunted house of a story. 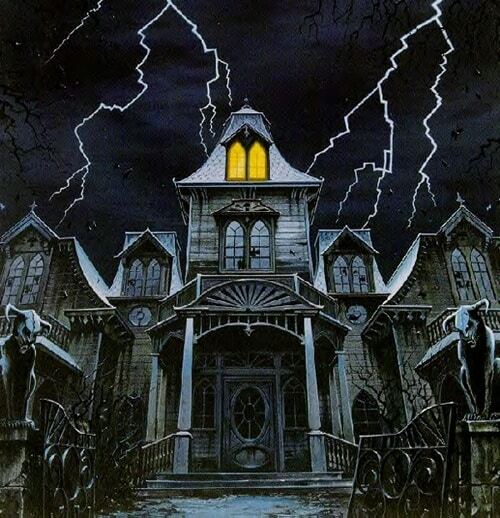 The Doctor and Ace find themselves trapped in a Victorian Mansion whereby nothing happens by day, but by night the household emerges and the staff begin an endless routine. Human bodies fill drawers and insects run wild, and exactly what is that lurking in the basement??? The entire narrative of Ghost Light is a mish-mash of ingredients that bubble to the surface for attention. The ghostly figures are actually alien scientists trapped in an experiment grown out of hand, and even a representative of Light itself is involved in the guise of an angel. Ghost Light finds a conflict of evolution with religion, controlled science vs natural growth and science fiction against horror. For once the budget seems lavish, at least so far as costumes and sets go. 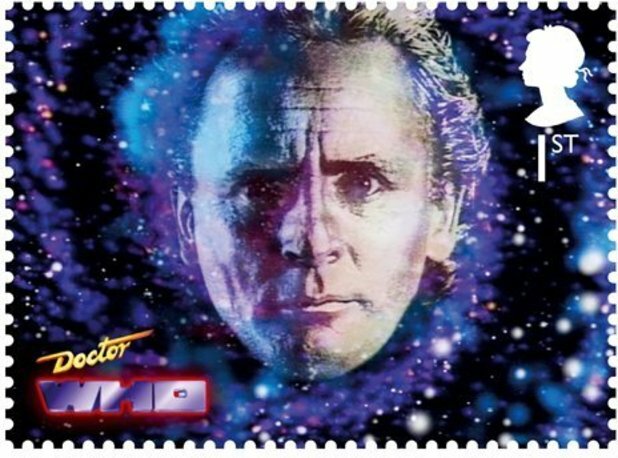 But as is the point of this re-evaluation, is is the 7th Doctor that is of particular interest. It turns out The Doc and Ace have not landed here by accident. Instead The Doctor is out to force Ace to confront here fears. In her past- which is the narrative future- Ace will burn down this building. She is traumatised by this event, and the reasons for it, from her teens and so The Doctor wants her to confront this. But he does not explain any of this to Ace in advance. He just brings them to this location a century before Ace destroys it and then waits for her to realise where they are both located. This is most likely tough love as The Doctor wants to heal Ace. But by acting in such an underhand manner he asserts himself as quite a manipulator. McCoy really does begin to make headway as his own version of The Doctor in Ghost Light. No longer just a physical comic, McCoy begins to lay down his role as a secretive tactician, someone capable of twisting others into his own long game, even if it means eroding his relationship them in the process. Ghost Light has a brooding atmosphere both because of its story and its setting, but even more so for The Doctor’s machinations becoming more apparent. Well worth seeing for an example of the 7th Doctor done right- but make no mistake, there are still paper meche monsters and some of the hammiest acting this side of a cheese and ham toastie. But hey, that’s Doctor Who for you. It’s the fifth and final of my DVD purchases. Keeping in the darker tone of Ghost Light (and to a lesser extent some of McCoy’s pacifist passion from Battlefield) The Curse Of Fenric is once more a down and dirty tale. 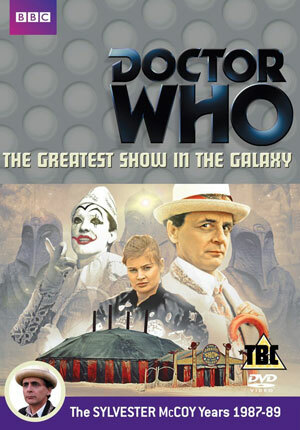 This time the Doctor and Ace are stuck on a small village during World War II. Hiding away a sophisticated Engima machine, local boffins are working to crack Nazis codes, yet, someone else is planning to use the machine to decipher some ancient Nordic Runes and unleash pure evil on the world. Typical. Oh, and there is a British Naval Commander out to kill all Russians. He also dresses like Hitler in order to get into the mind of his enemy, presenting a fractured, psychopath of a leader. 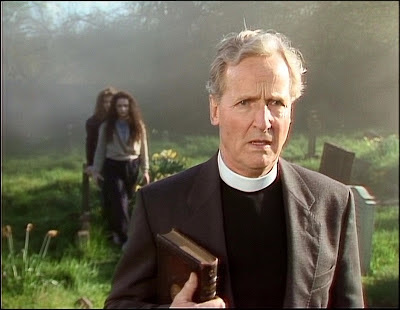 There is also a local Vicar who has lost his faith, played surprisingly well by ex-Gameshow host Nicholas Parsons, as well as a mix of Russian Commandos on a secret mission and Vampiric descendants of a Blue Monster known in the Bible as ‘the Serpent’. 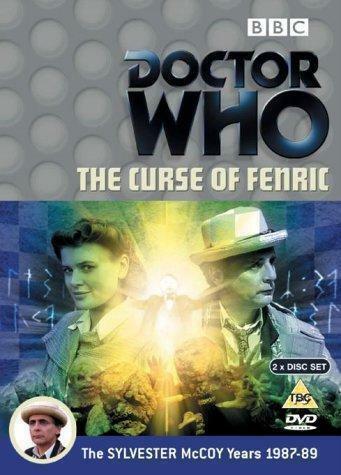 As if vampires, Viking curses, and World War II was not enough to fit onto one tale, The Curse Of Fenric also features The Doctor once more manipulating Ace in order to save the day- but this time on a grand scale. It is revealed that he has in fact been using her for their entire relationship to build up to this one moment! The Doctor knew these events would come to pass as the bad guy behind it all is revealed to be a demonic -sort of entity that The Doctor cast back in time eons ago. This villain has engineered Ace’s entire life to lead to one particular moment in this episode. Yet The Doctor, worked out this huge scheme some time ago. He decided to adopt Ace as his companion in order to use her in a very different way at this same moment. This marks an even darker turn of the Doctor. On the one hand he has protected Ace through many adventures and given her a life of wonderment. On the other hand he has lied to here from their first day together in order to be able to use her as a pawn in this final encounter with this Demon. If Ghost Light was a microcosm of The Doctor manipulating Ace for her own good, then ‘Fenric is the Macrocosm of him doing so in a huge fashion in order to eventually save humanity. For an episode about faith, death and hope McCoy certainly presents himself as in a murky space between all three. But like any good hero, he ultimately emerges as making all the right choices, even if his methodology is suspect. The Doctor is never an anti-hero, but by this stage he was certainly more of a dark game-player of a hero. 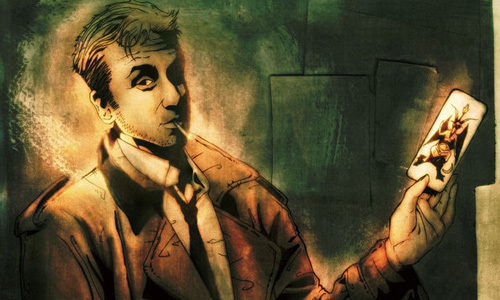 John Constantine in a Boater, if you will. And so with that my budget was spent and my adventure across time and space in relative dimensions came to a close. 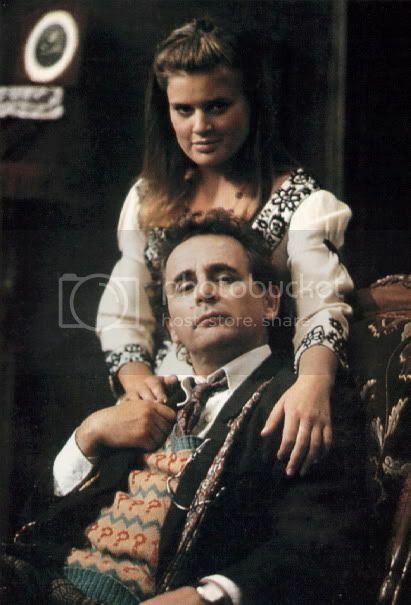 Over the course of many hours I learned as an adult that Sylvester McCoy was not the bumbling fool-with-a-plan that I had mixed memories of as child. Instead he was something of this clown before emerging into a creepier, inter-dimensional Dungeon Master out to save the day at any cost. Frankly, it also looks as though McCoy was having a lot more fun in the role than I remember, whether this is performing magic tricks to delay evil Gods or spouting passionate monologues about the evil nature of killing. Through revisiting these five adventures I also learned that Sophie Aldred as Ace was still cooler than most Assistants since she likes to blow things up and rarely needs rescuing. Additionally, I learned that the amount of classically trained thespians paying for their mortgages with supporting parts all brought a real sense of class when it was needed and silliness when it was not. Between dark Doctors, strong assistants and scenery chewing acting the shows have remained watchable, even though the quality veers from poor to great very easily. Indeed it has been fun in some ways- and painful in others- to revisit my childhood Doctor’s adventures. 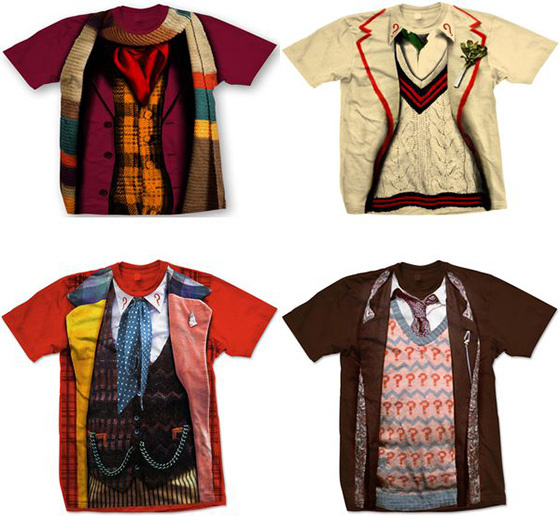 I doubt my opinions would sway anyone else to swop their favourite Doctor for the 7th one. All the of main 11 Doctors so far have their positive and negative points in the roles that will appeal to different fans. Yet I do hope anyone reading this that likes Doctor Who will at least check out some of the 7th Doctor’s later adventures in order to see if he holds any appeal for them that they may not be expecting. Besides, even if it is only for my own peace of mind it’s good to know that McCoy definitely had it when it counted. As always, thanks for reading. If you did. Which I hope you did. No idea what I’m doing next time as this has melted my brain like a n Ice Warrior on a beach.